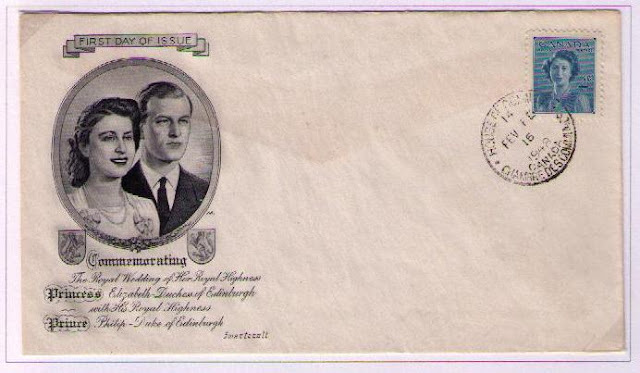 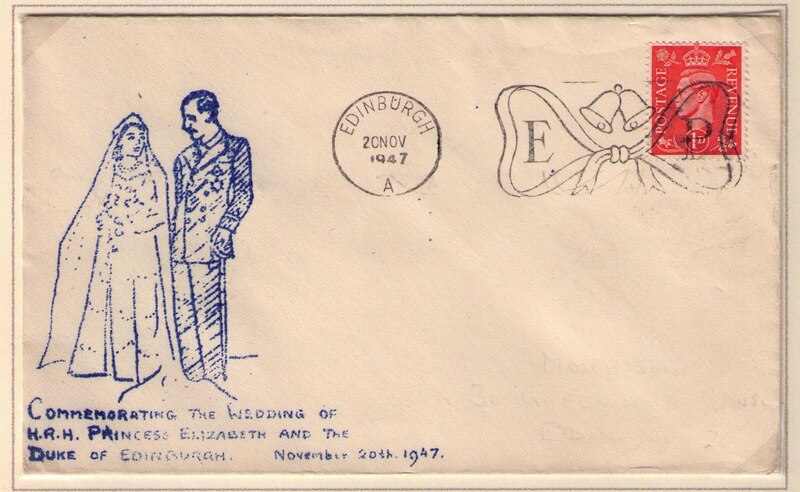 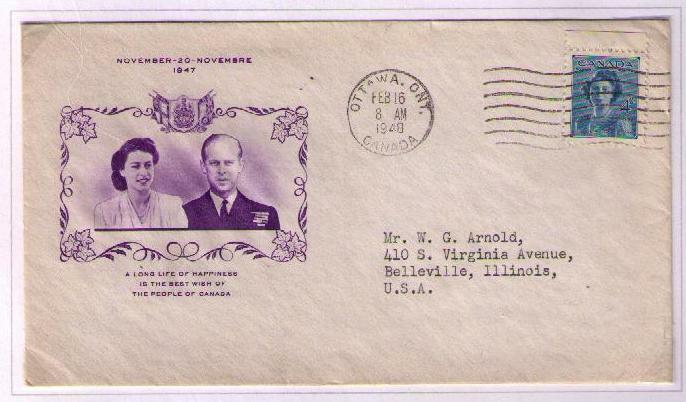 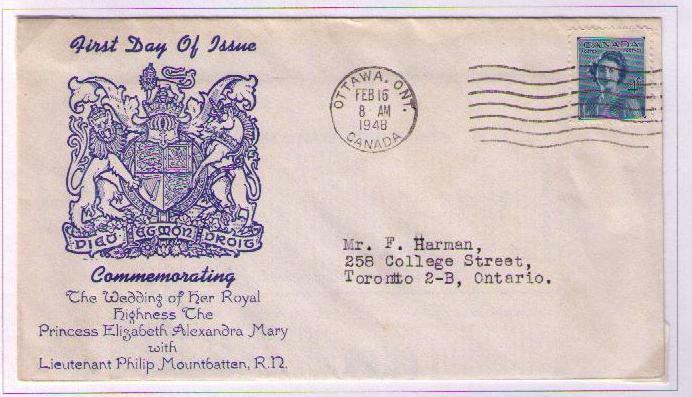 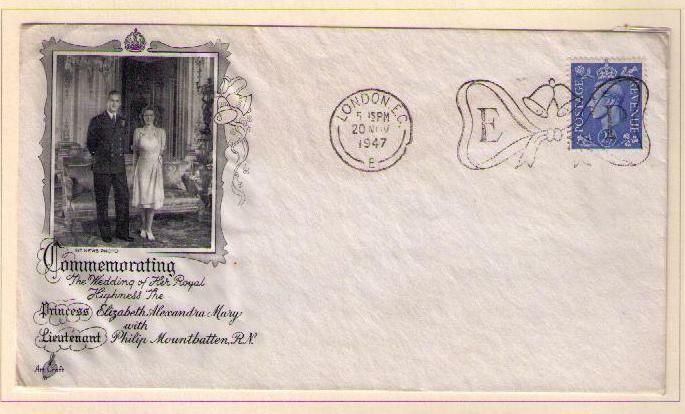 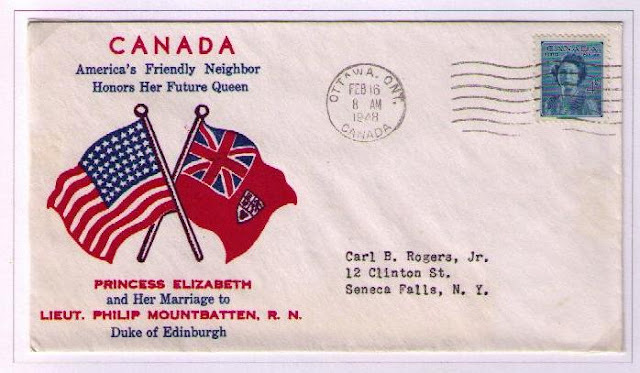 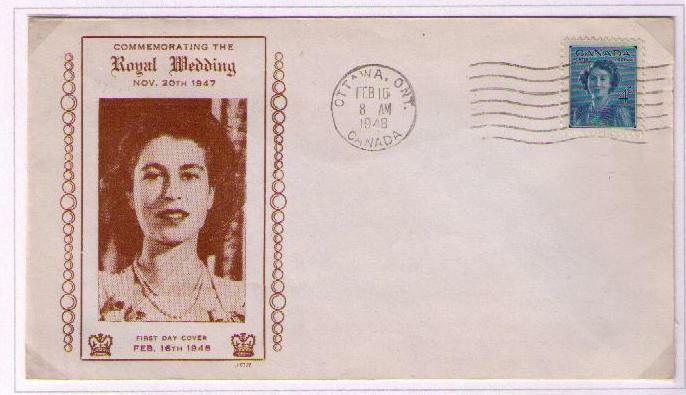 The wedding of Princess Elizabeth to Philip Mountbatten on November 20, 1947, was commemorated by both British and Canadian Post Offices. Since the wedding announcement was made on July 9, 1947, the British Post Office did not issue a commemorative stamp because there was insufficient time to prepare an issue. Instead, a slogan postmark was made for use from November 20 to the end of November. 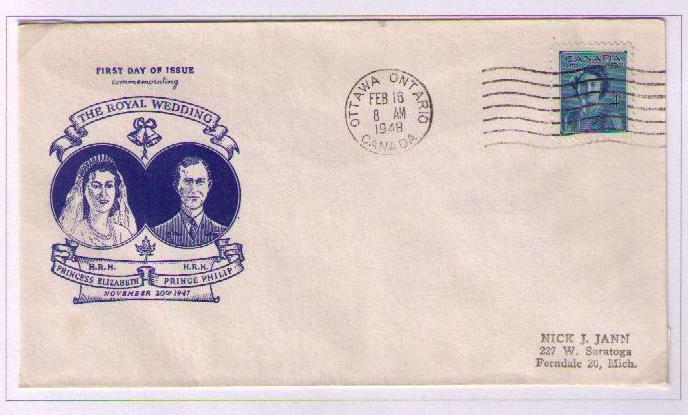 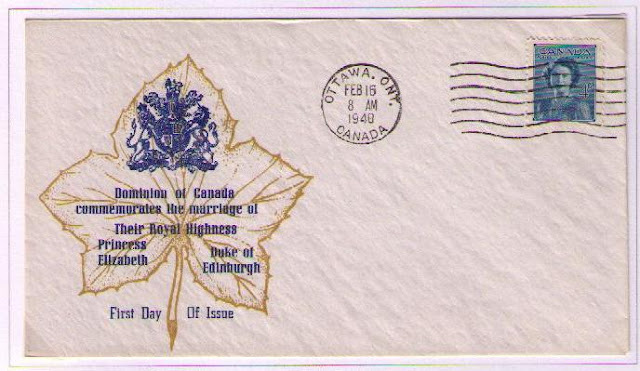 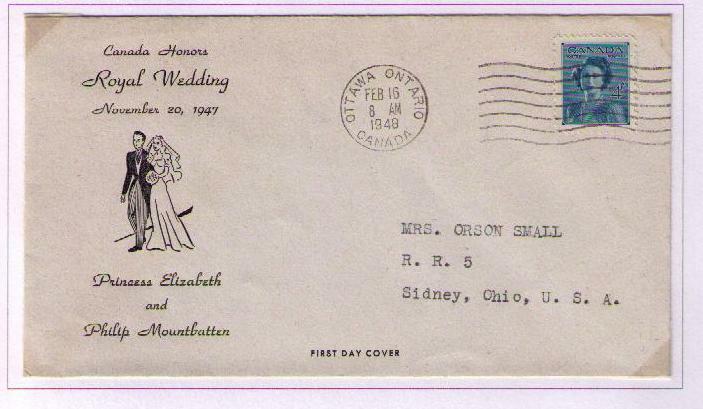 The Canadian Post Office issued a commemorative stamp for the wedding, but only after the event, in February, 1948. 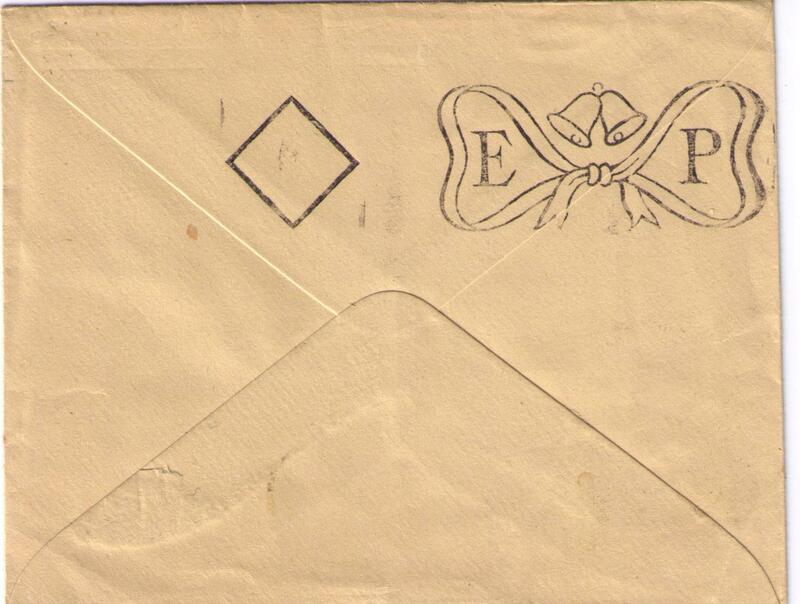 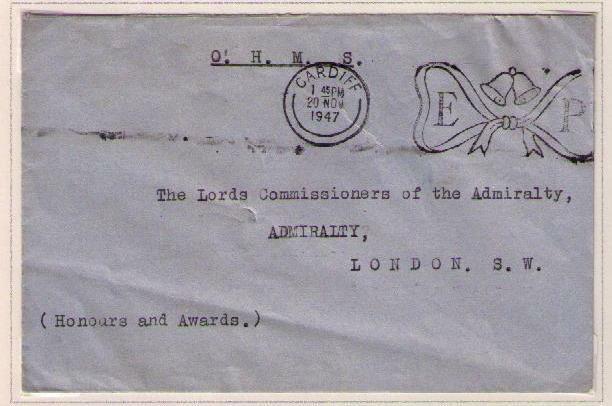 A diamond-shaped mark was applied by machine to mail posted in Britain during the annual mail census. 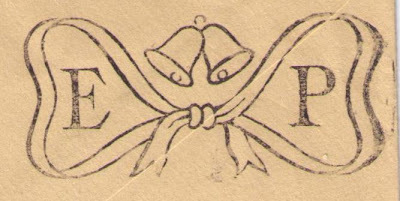 The Lovers' Knot cancellation was to be used from November 20 to the end of November. 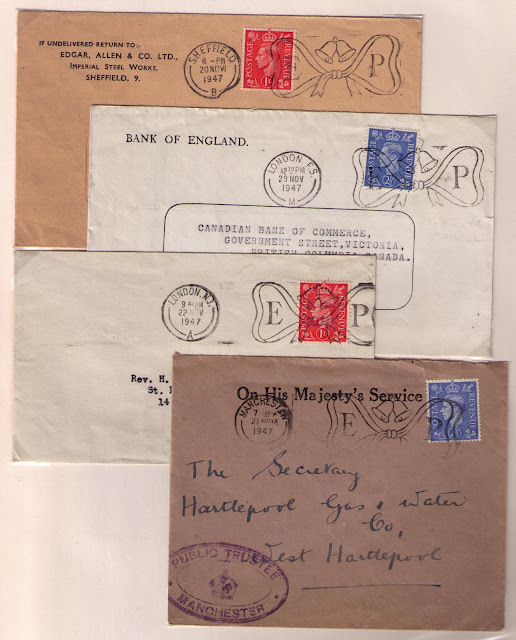 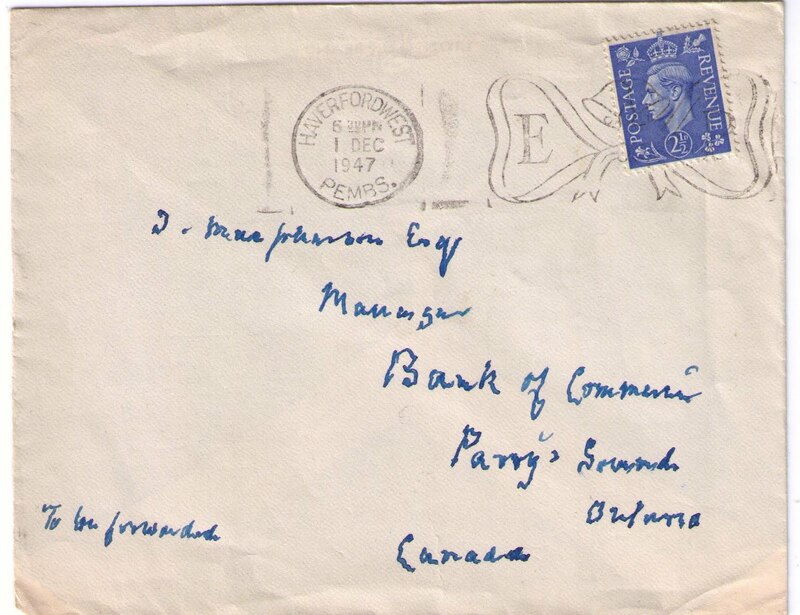 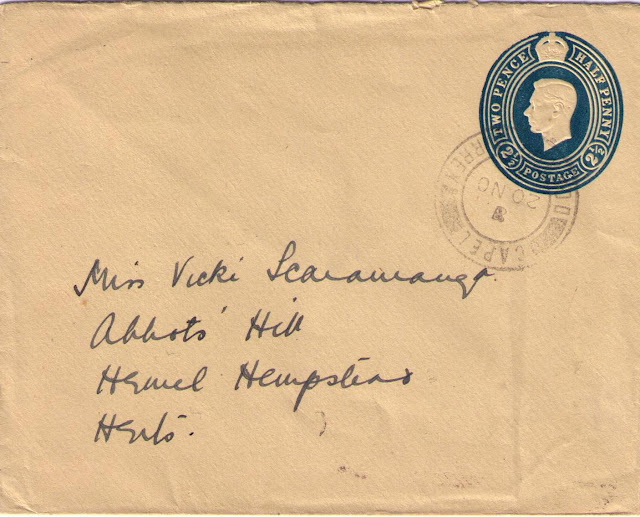 The Haverfordwest post office cancelled the cover below on December 1, 1947. 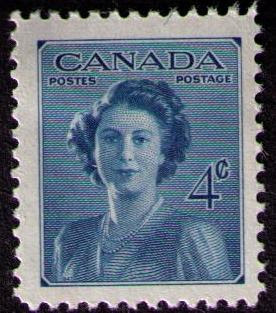 The stamp design was based on a photograph of Princess Elizabeth taken by Dorothy Wilding. 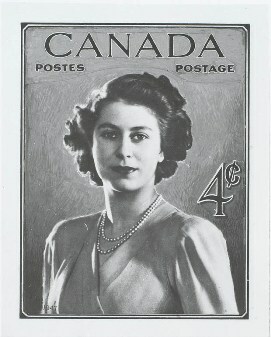 The stamp was designed by Herman Schwartz, and the portrait was engraved by William Ford.